Contains Seaweed, Green and White Tea. 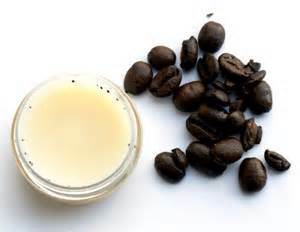 Fight away puffiness and dark circles with this healing coffee eye butter. Coffee butter has a caffeine content that will de-puff the delicate skin around your eyes, increase circulation, and brighten dark circles. Seaweed tones and revitalizes the skin. Rich in vitamins, folic acid and niacin. Teas are rich in polyphenols and acts as free radicals to combat signs of aging. Massage around the eye using circular motion. Can also be used as a night cream for the entire face and neck area. Ingredients: Coffee butter, Extract of Seaweed, Green and white Teas, Vitamin E.